Click http://www.piriform.com/go/get_ccmac and the installer will automatically start downloading. Open the Downloads folder in the bottom right of the screen, and then click on "CCMacSetup.dmg". The installer will automatically run. A box will appear allowing you to drag the CCleaner icon into your Applications folder. You can then open this folder and click CCleaner to get started! I've purchased CCleaner Professional for Mac and need to download it again. How can I do this? You can either download the free version as detailed above, then register it by clicking Options > About > Upgrade to Pro and entering your license details. Or, you can request a new download link using our handy license lookup tool. I get an error when trying to open CCleaner telling me that it is from an uncertified developer. a) Right-click CCleaner in the Applications folder and click "Open" - you will be given a message asking if you want to open the Application. Click "Yes" and you will not be prompted when opening CCleaner again. b) As a more general solution you can allow all Apps to be run on your Mac. To do this, click the Apple logo in the top left > System Preferences > Security and Privacy > General. Click the bottom lock if needed to access the options, then click "Anywhere" under "Allow apps downloaded from". A box will appear asking you to confirm the change, click "Allow from Anywhere" to proceed. 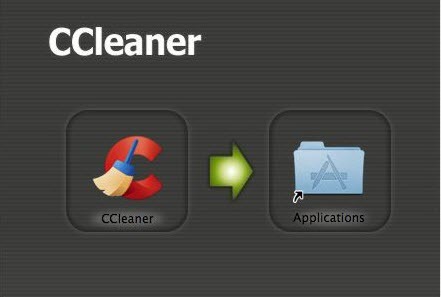 Is CCleaner for Mac available from the Mac App Store?